No, Baby Pokémon. You Don't Get To Be Your Evolutions Just Yet. You only get to be adorable for now, you rascals. 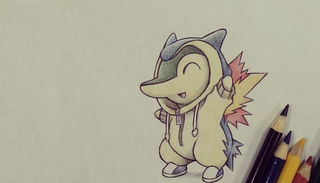 Take a look at these absolutely adorable Pokémon illustrations by Instragram user itsbirdy . For the last couple of months, he's been uploading pictures of Pokémon in what appear to be, what, onesies? Hoodies? Of their later evolutions. There are a couple of others that you can view at itsbirdy's Instragram page—like all of the original starters—so make sure to check that out.